Receiving the award for best poster presentation at the ITS Annual Scientific Meeting 2012 are Ms Sheila Keogan and Professor Luke Clancy from the TobaccoFree Research Institute. Also pictured are Dr Stephen McDonough, Medical Director, GlaxoSmithKline Ireland, Dr Aidan O’Brien, Consultant Respiratory Physician, Mid Western Regional Hospital and Dr Ed McKone, President, the Irish Thoracic Society. 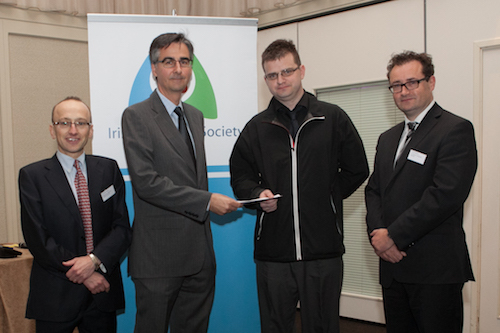 Receiving 2nd Prize for best poster presentation at the ITS Annual Scientific Meeting 2012 is Dr Barry Kennedy, Mercy University Hospital, Cork. Also pictured are Dr Stephen McDonough, Medical Director, GlaxoSmithKline Ireland, Dr Aidan O’Brien, Consultant Respiratory Physician, Mid Western Regional Hospital and Dr Ed McKone, President, the Irish Thoracic Society. 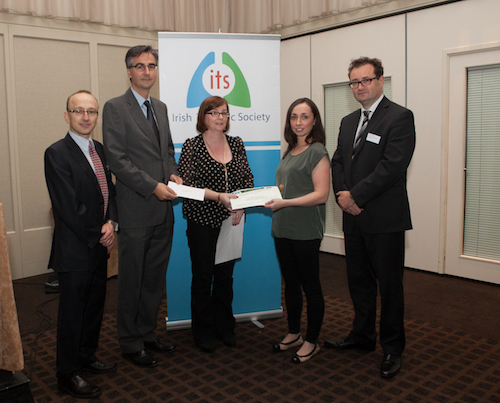 Receiving 3rd Prize for best poster presentation at the ITS Annual Scientific Meeting 2012 Ms Roisin Kennedy, Clinical Nurse Specialist, St James’s Hospital Dublin (on behalf of Ms Bettina Korn). 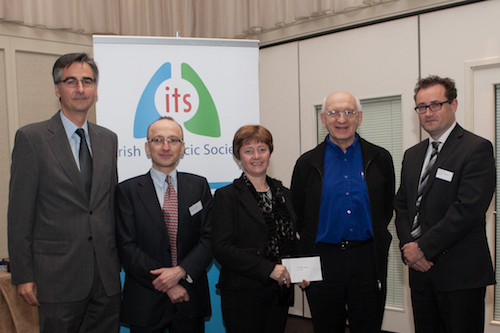 Also pictured are Dr Aidan O’Brien, Consultant Respiratory Physician, Mid Western Regional Hospital, Dr Stephen McDonough, Medical Director, GlaxoSmithKline Ireland, Ms Anne Tooher, ANAIL and Dr Ed McKone, President, the Irish Thoracic Society.